At the camp I worked at for two summers, the counselors grow to feel like family to each other. To commemorate the time spent together, the counselors often order a tshirt or sweatshirt that includes the names of each counselor. For this design, I chose to include a symbol that represents each counselors’ name. The symbols are hand drawn by the counselor they represent and arranged within a gear shape. The gear shape represents the theme for the summer: The Inventor’s Workshop. A counselor wears his shirt as he plays “I Spy” with one of the campers. 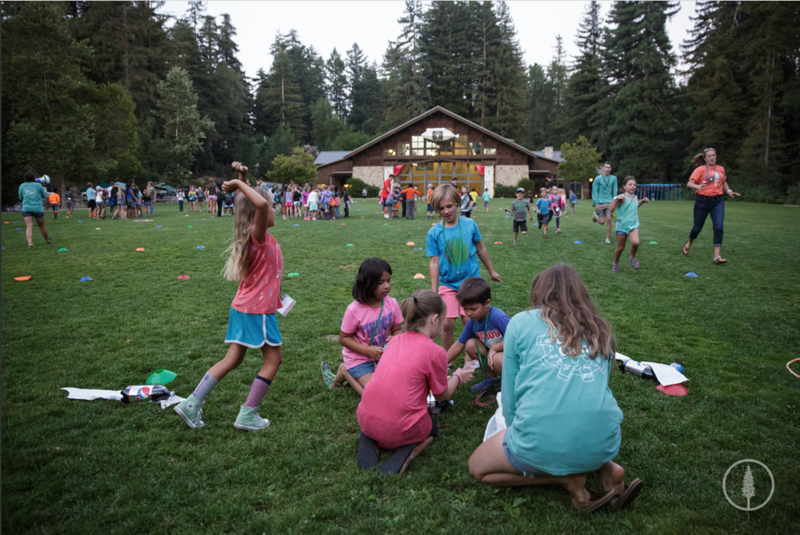 Each summer, counselors at Mount Hermon bond together and become a group that resembles family. To remind them of their time together, a tshirt is created that incorporates each of their names and a theme from the summer. For this design, I asked each counselor to draw their symbol on a piece of paper as big as possible. I collected all of the drawings and uploaded photos to my computer, where I image traced each one in illustrator. After expanding the tracings and cleaning up some of the lines, I brought all of the symbols together and arranged them in a gear shape. The gear represents the theme of our elementary-aged program, The Inventor’s Workshop. The name of our staff, Day Camp, is also included. We voted on a hashtag that would sum up our attitude for the summer or remind us of an inside joke, and #DoIt4TheKids was the winner. The shirt color was chosen by popular vote among the counselors. The thoughtfulness of this design shines through its simplicity and attention to detail. Each symbol in the design was hand-drawn by one of the camp counselors from the Day Camp staff of Summer 2017. This particular sign was drawn with sharpie on bond by a counselor who went by the name Verve, a local coffee shop in Santa Cruz. Each drawing was then put into Illustrator and image traced. I cleaned up the lines after expanding the tracings, effectively turning the hand-drawings into vector images. The final design showcases each of the counselors’ symbols enclosed in a gear. The title of our team “Day Camp” is prominently featured in the center.